Tunesian crochet... You gotta love it! 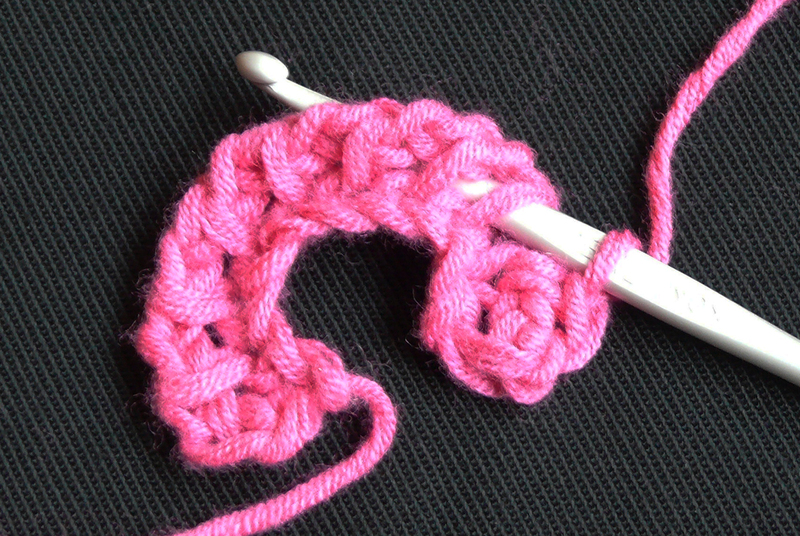 At least i do:) I dabbled a bit and came up with this version of the stitch. Here's how i did it. Chain 10, pull up 9 loops. Round 1. Chain 1, *yarn over, pull through 2 loops*, continue the rest of the round. Round 2. 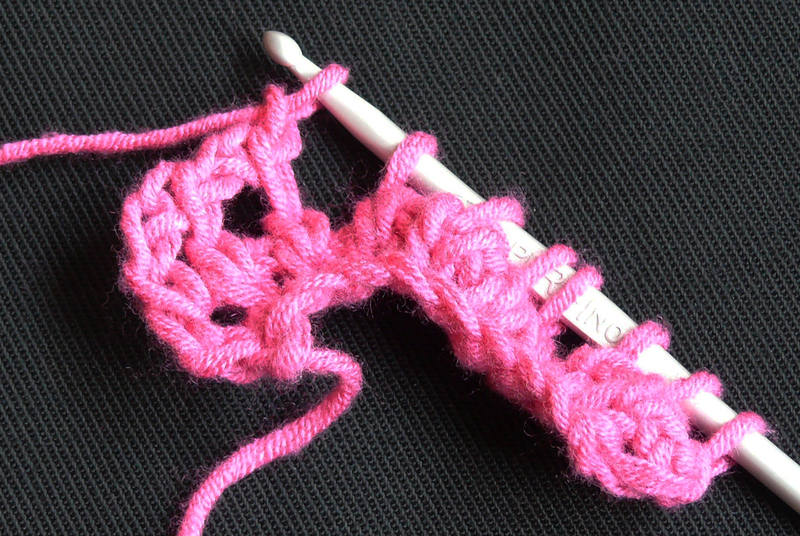 Chain 1, *pull up a loop through the hart of the underlying stitch, chain 1 in the same stitch*, continue the rest of the round. Round 3. Like round 1. Here the fan shape takes its form. Round 4. 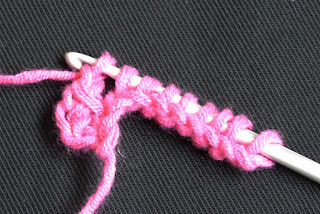 Chain 1, *pull up a loop between the stitches, chain 1 in the same stitch*, continue the rest of the round. 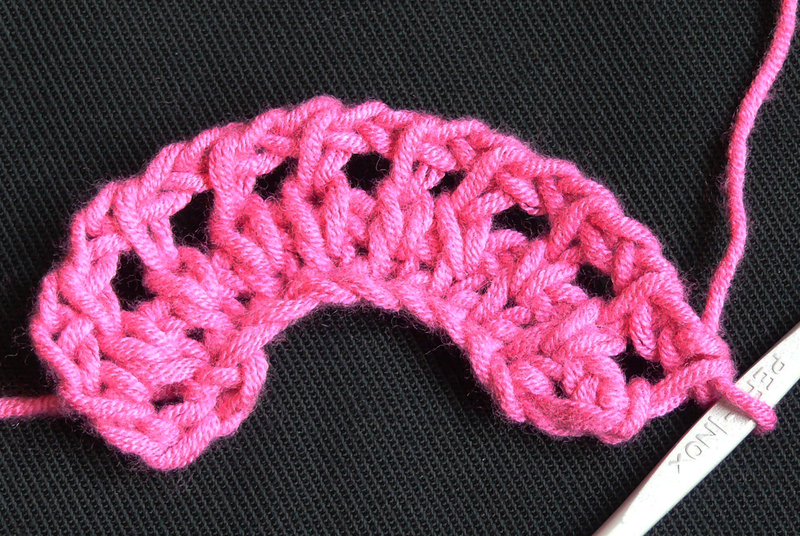 This increases the number of stitches to keep the fan shape. Round 5. Like round 1. Round 6. Like round 2. Round 7. Like round 1. I used this in the 29th day of the NatCroMo Freeform CAL.